“Ledge to Lancelin marathon 2016. 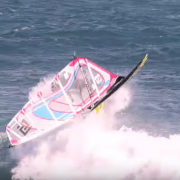 I was neck and neck with Cyril on the first mark when I made the mistake of jibing on the boat getting mixed up in the kiters. 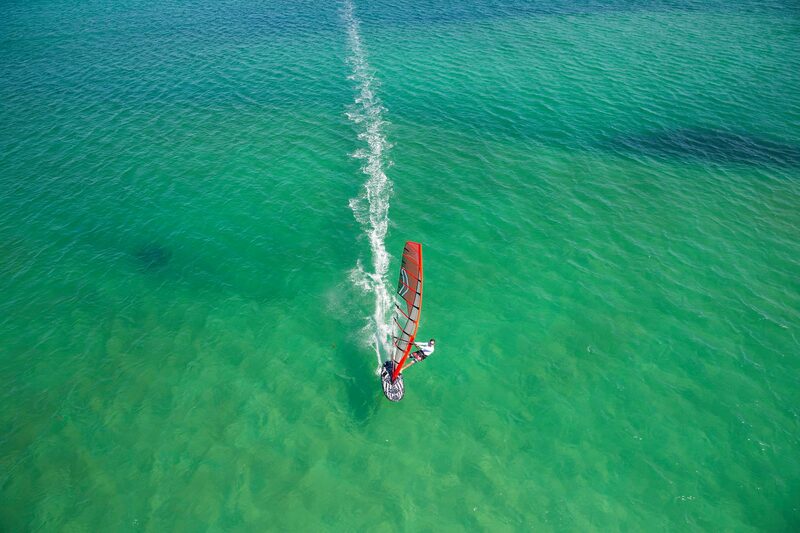 While Cyril smartly rode the swell longer and jibed wide keeping clear of the kiters and gaining 50m downwind advantage for the next reach which was extremely broad giving him an instant 100m odd lead. Our speed was very similar and with the kiters starting before us made it easy for Cyril to follow them around the course taking away my local knowledge advantage where he was then able to hold onto that lead until the finish. I was on Patrik 135 with 9.2m while Cyril was on 9.7m which also seem to have the advantage on the downwind legs with the larger sail. Which is a very important part of this race choosing the right equipment. 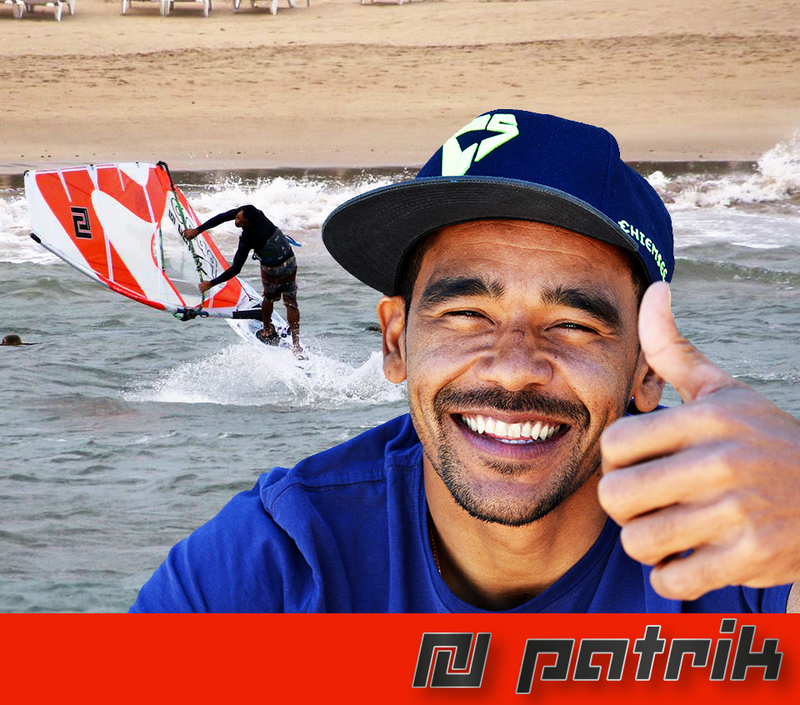 Tonky Everon Frans joins PATRIK! Another Clou for PATRIK! We are happy to announce that Everon (Tonky) Frans (NB-7) is now a member of our Freetyle Team. 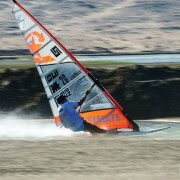 With his great experience being top ranked in the PWA over countless years he will push our team to a higher level. Together with our international riders Adi Beholz and Adam Sims he will have an important role in the development of PATRIK Freestyle Boards. Tonky: “In the past I have been on Patrik shapes and he made me some really amazing boards that made me perform really good and I am convinced he is one of the best shapers! Believe it or not Patrik can do freestyle moves and I saw him doing some really sick Flakas. So when I ask him for special characteristics he knows exactly how to shape the best board for my demands. 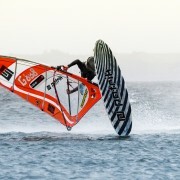 http://patrik-windsurf.com/wp-content/uploads/2016/01/TF_announcement_PATRIK.jpg 846 960 Karin http://patrik-windsurf.com/wp-content/uploads/2014/07/Logo_Patrik_quader.png Karin2016-01-15 15:34:202016-01-15 19:36:28Tonky Everon Frans joins PATRIK! 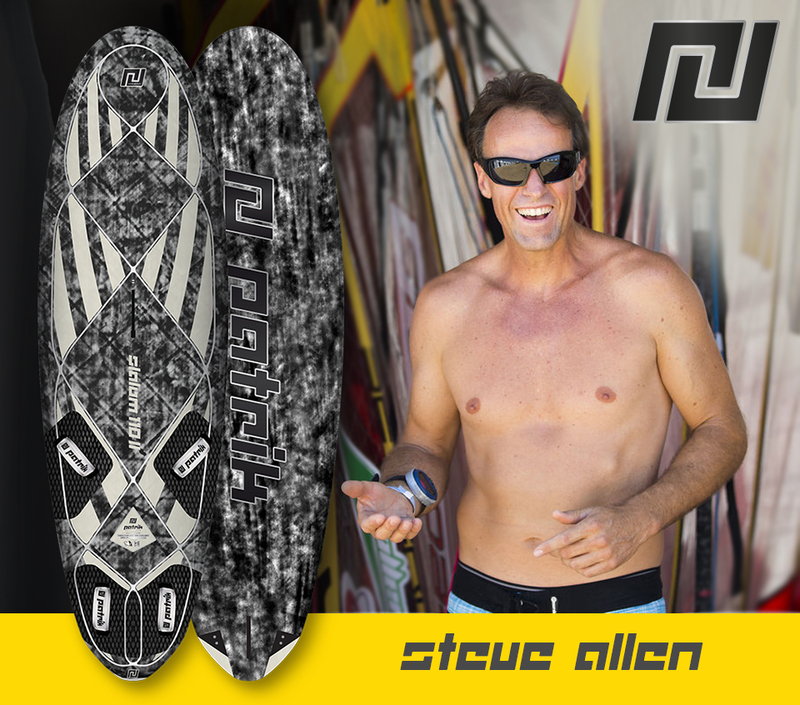 We are happy to announce that Steve Allen (AUS-0) is now a member of our team and will also be part of our R&D Team. 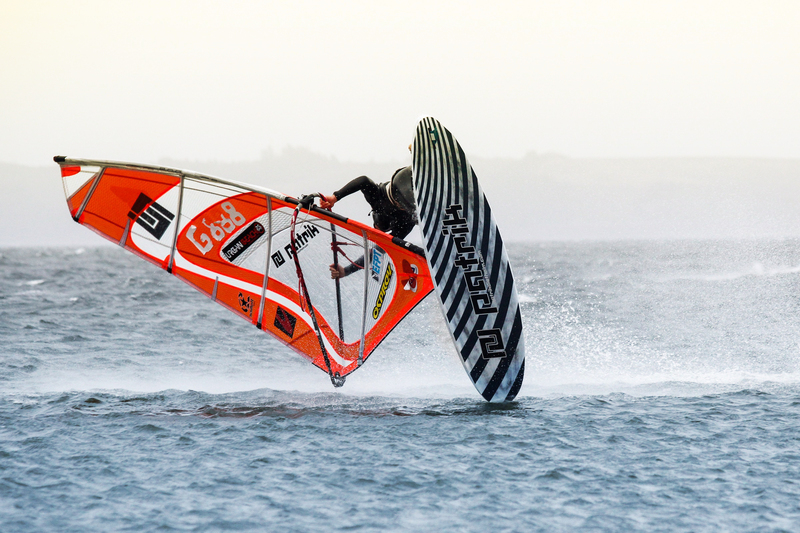 PATRIK enlarges his Junior Pro Team with the French youngster Benjamin Augé. 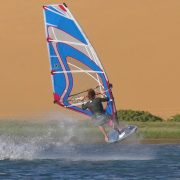 In 2015 Benjamin was 2nd PWA Slalom Youth overall and 33th PWA Slalom Men overall. For the fourth time in a row the European Freestyle Pro Tour is looking for the EFPT Sailor of the Year. Some of the most impressive riders of this season have been nominated by the EFPT crew and eight made it into the final public voting on the efpt.net webpage. 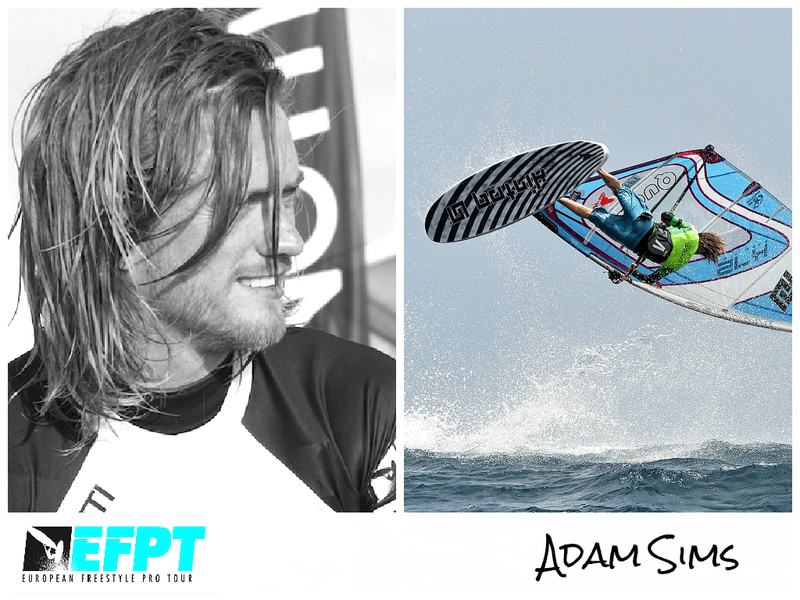 After Adam Sims (Patrik/Sailloft) from the UK in 2012 and Adam Gavriel (Patrik/Sailloft) from Israel in 2014 the EFPT Organizers are already looking forwards to who will be YOUR EFPT Sailor of the Year 2015. Once again Adam Sims made it into the nominations for the Sailor of the Year. Following the tour for many years now Adam turned into a routined competition sailor which he proved with some great results this year and an 11th place overall. Even more outstanding were his performances in the tow-in discipline that he keeps pushing a lot. He made it into every tow-in final this year and pulled the EFPT Tow-in Overall Champion title of 2015. Congratulation for that Adam! 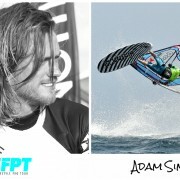 To support Adam you simply have to go to the EFPT Sailor of the Year Voting Page and vote for Adam! Thanks! PATRIK is looking forward to welcome Adrian Beholz in the team. Adi is one of the most talented freestyler in Germany. He is highly motivated for the upcoming year and I can’t wait to see him styling with our boards. 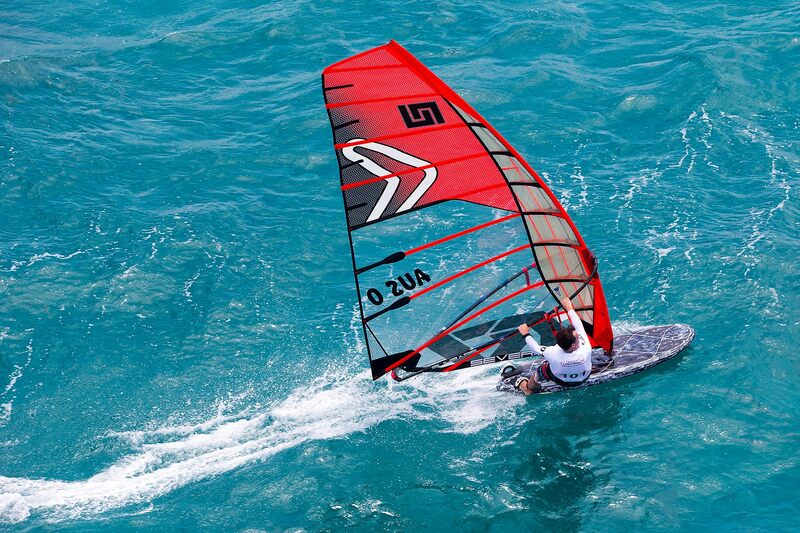 Adi is already with his new boards in Brazil to prepare extensively on the new season. 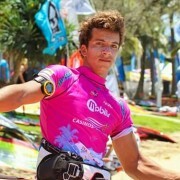 For the next season he plans to participate not only in freestyle and wave competitions, but also in the slalom. 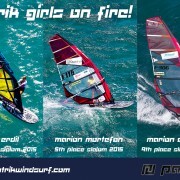 Three PATRIK Girls in the Top Ten Slalom PWA Women’s World Tour Windsurfing Overall Ranking!!! 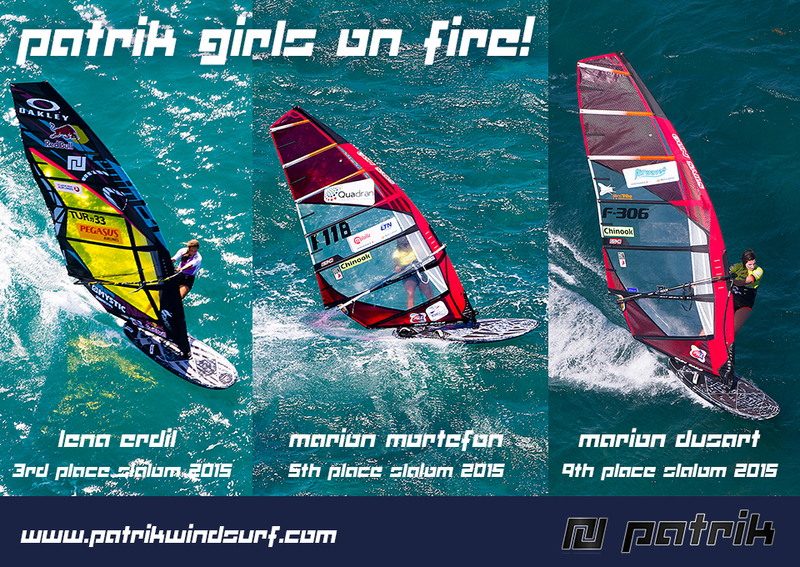 Thanks for this amazing result Lena Erdil(3rd), Marion Mortefon (5th) and Marion Dusart F-306 (9th)!